Short metal necklace featuring a filigree state cutout pendant. 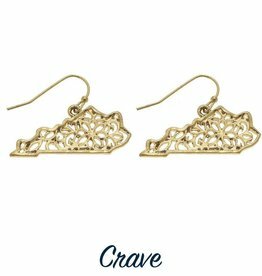 Metal fishhook filigree state earrings. 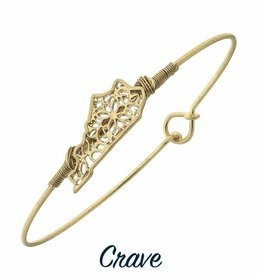 Wire wrapped metal state cutout bracelet.